I saw this on Allysa’s blog (alias Allyoops). The idea is to have a large jar, and put your clippings from projects throughout the year into it. It is called TULSA, a Totally Useless Stitch Along. Also, you need to photograph it every full moon for a year. I thought it would be interesting to do. When I work on Fair Isle, I often have many ends from even a small baby sweater. This will become a different kind of timeline of finished projects. I chose a VERY large jar. 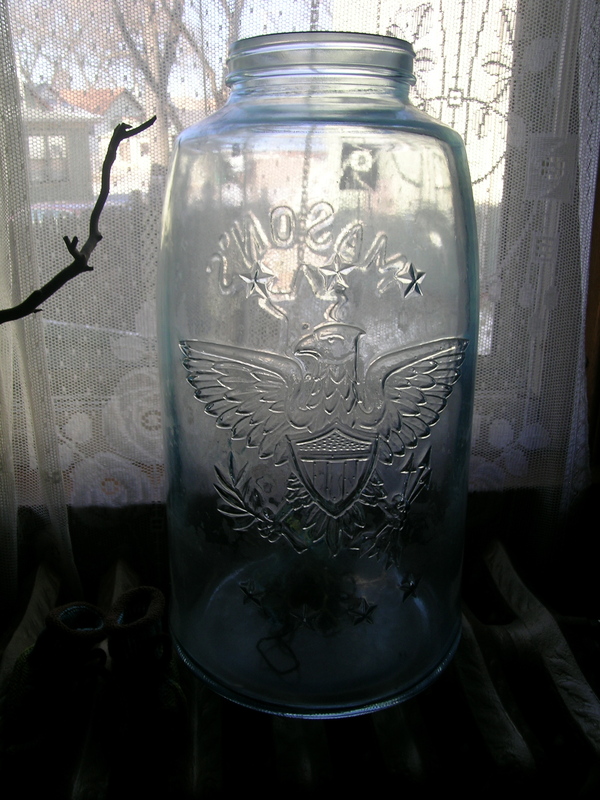 It is a blue glass mason jar that I purchased at an Antiques store a couple of years ago. I have a collection of blue mason jars, that were retrieved from my parents farm many years ago, that hold all of my grains and beans in my kitchen. When I saw this jar, which we guessed was a display piece in a store, I knew it was for me. 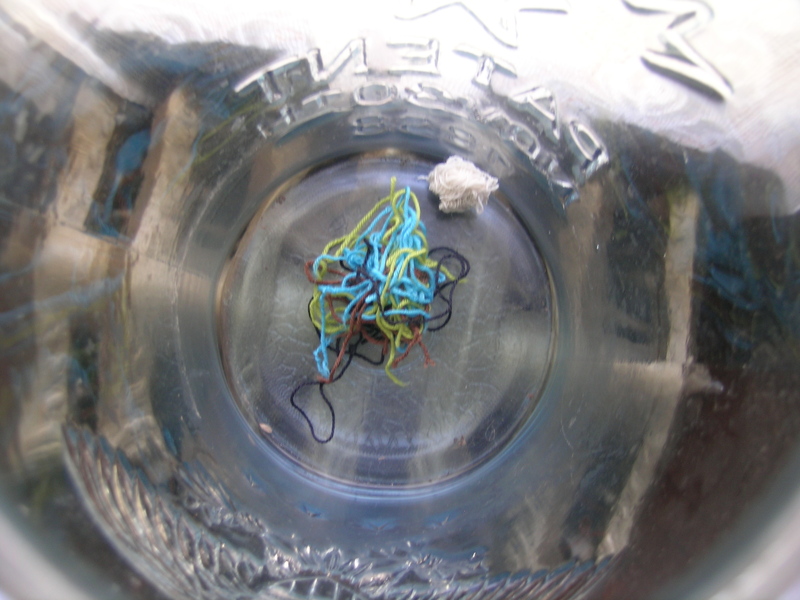 I’m saving little bits of yarn too, as long as they are natural fibres and not too brightly coloured, but they are for the birds to use for nesting material. I heard a gardening programme on the radio that said that there is a great shortage of suitable nesting material because more farm animals are kept indoors these days. Little bits of wool should be very good for lining a nest I think. In the spirit of TUSAL, I ‘ll try to remember to take a photo of my collection before I put it out in the graden.